Light, simple and proven, the TT-R230 delivers decades of low maintenance performance for all. 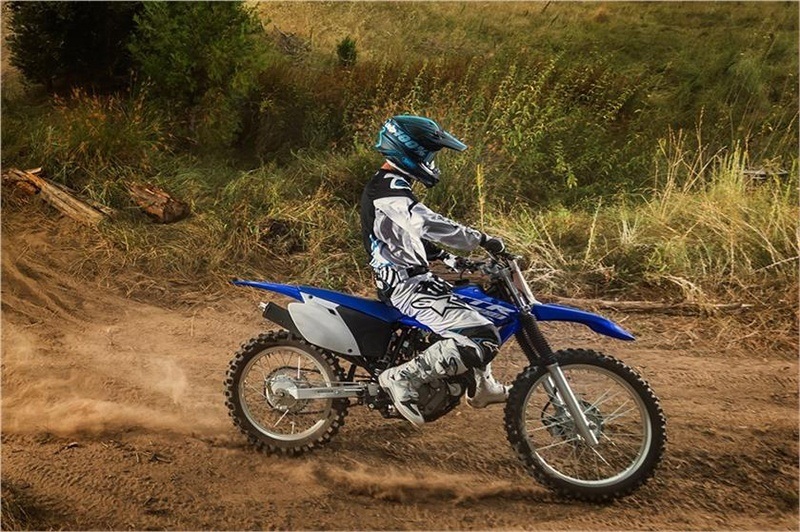 ROBUST, COMPACT FRAME: Steel frame with compact wheelbase and low seat height combines accessibility to new or smaller riders with superb maneuverability and super-responsive handling. ADVANCED REAR SUSPENSION: Linkage-mounted adjustable rear shock serves up 8.7 inches of smooth, progressive rear wheel travel for great bump absorption and handling. TRAIL-READY FRONT FORK: 36mm front fork with 9.4 inches of wheel travel provides plush, confidence-inspiring control over rough terrain. GENEROUS GROUND CLEARANCE: 11.6 inches of ground clearance should be enough to deal with almost any trail. LIGHTWEIGHT SWINGARM: Aluminum box-section swingarm features snail-type chain adjusters for quick and easy chain adjustments. 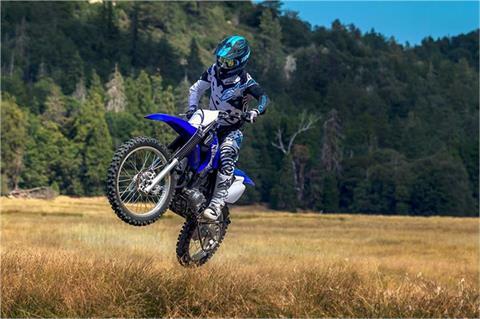 DUAL DISC BRAKING SYSTEM: Front 220mm disc and 130mm rear drum brakes for powerful, confident stops. 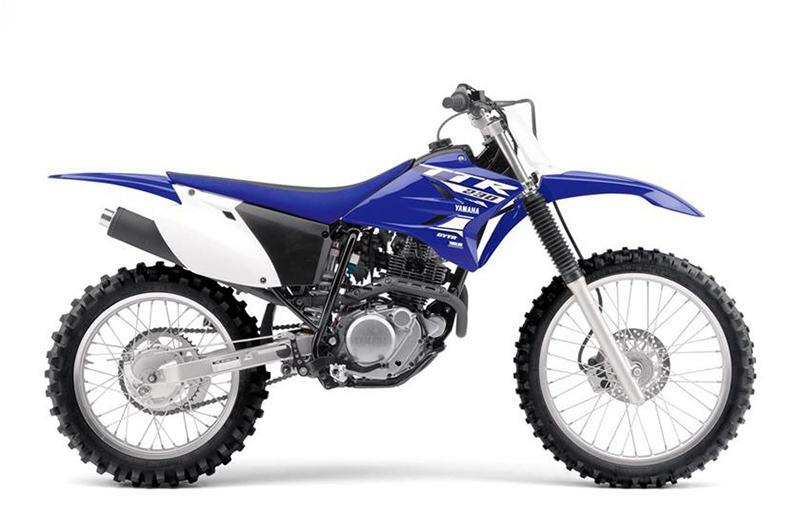 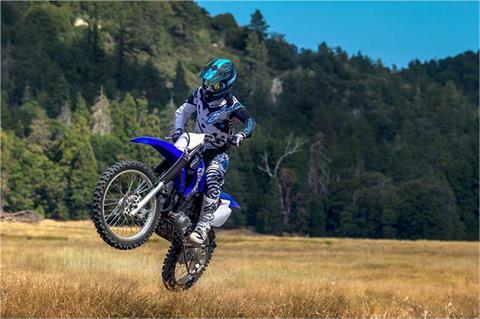 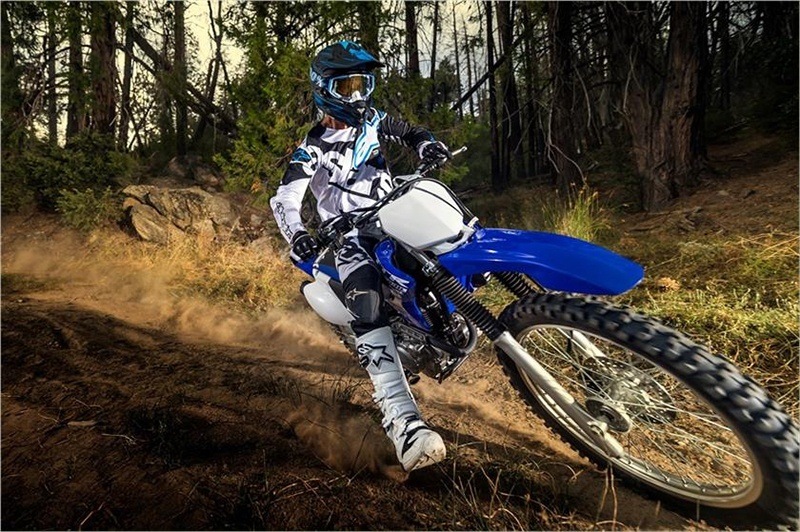 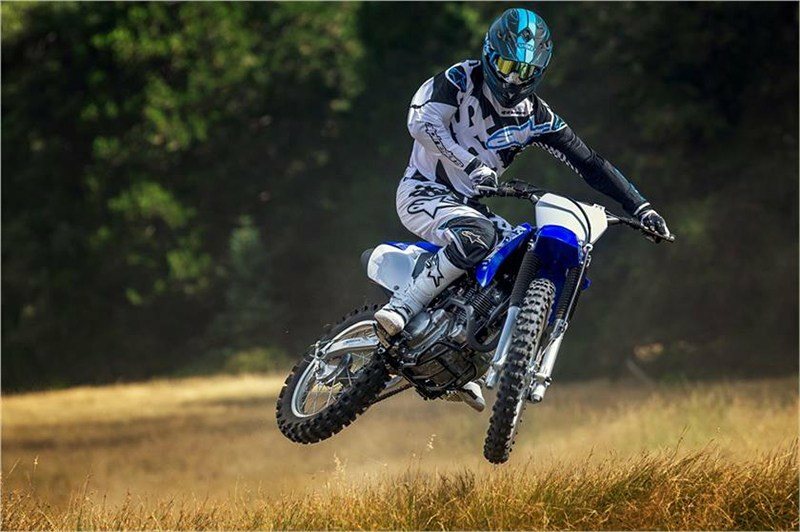 MX-STYLE WHEELS AND TIRES: Full-size 21 inch front and 18 inch rear aluminum wheels keep unsprung weight down, while knobby tires provide motocross-spec grip. 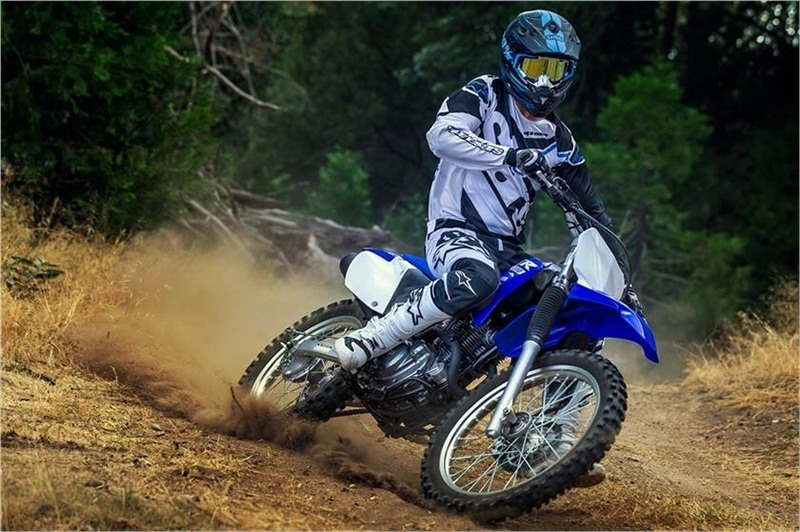 6-SPEED TRANSMISSION: Smooth-shifting, six-speed transmission with heavy-duty clutch geared for maximum versatility and usable power delivery. DIGITAL IGNITION: CDI magneto ignition system is ultra-reliable and nearly maintenance free. 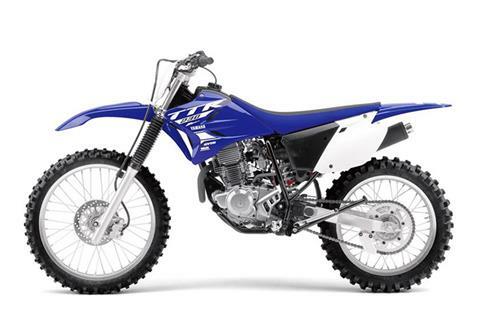 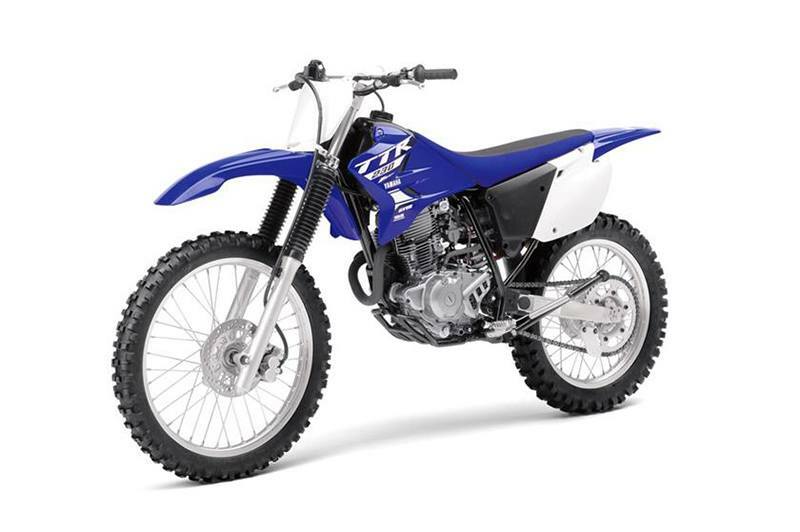 FREE-FLOWING INTAKE: YZ-type air filter for easy maintenance and maximum airflow. 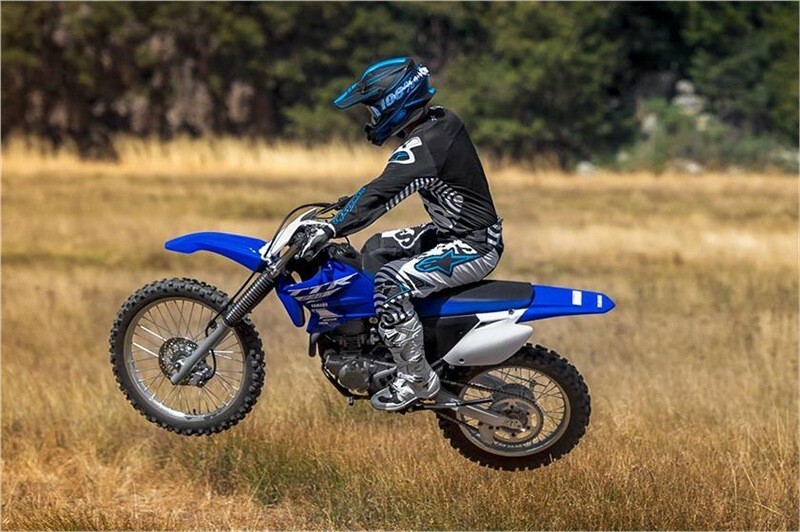 FORESTRY-FRIENDLY EXHAUST: Lightweight exhaust with quiet muffler and USFS-approved spark arrestor. 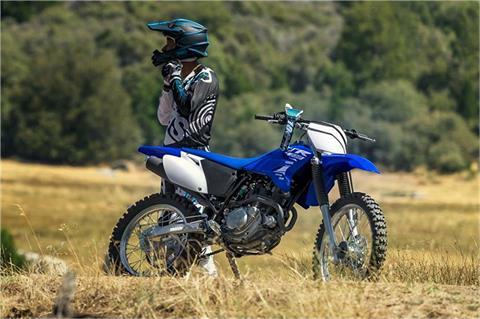 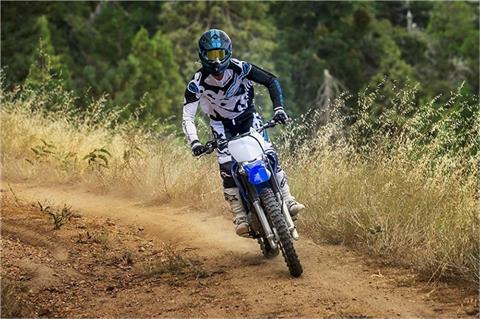 BROAD, ACCESSIBLE POWERBAND: Super-reliable, electric start, 223cc air-cooled, SOHC four-stroke puts out smooth, widespread power perfectly suited for all kinds of trails and riders. COMFORTABLE SADDLE: Long gripper seat is low, comfortable, and allows easy rider movement. 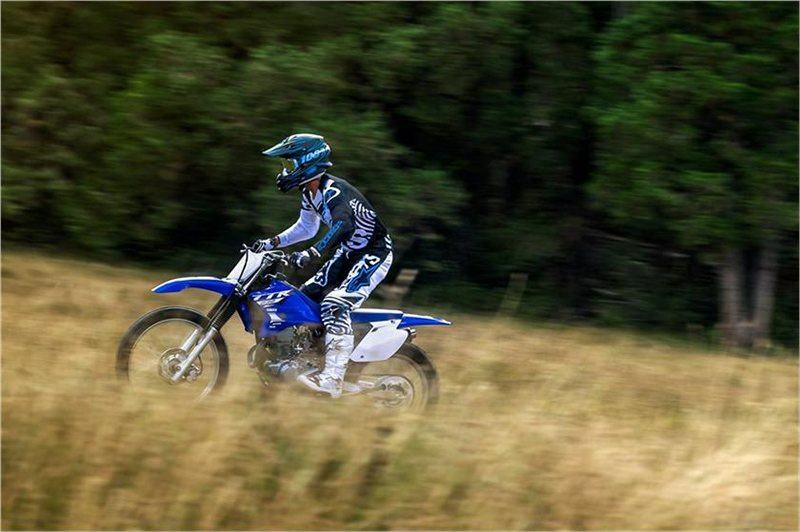 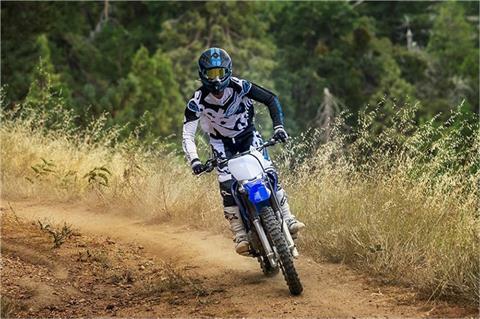 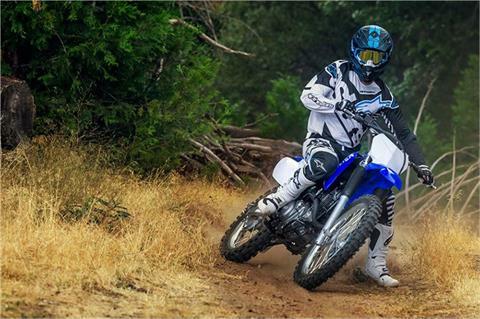 RACY STYLING: Team Yamaha-inspired colors, graphics and front and side number plates create distinctive styling. 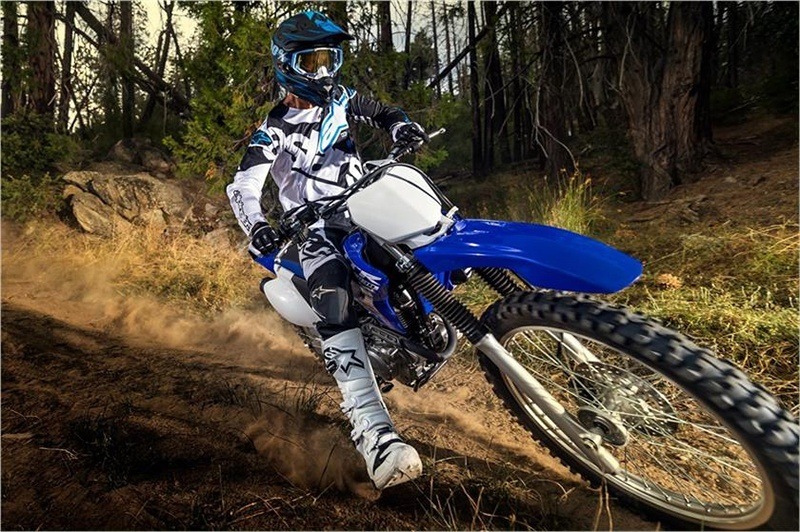 FORK PROTECTION: Durable fork boots provide excellent fork seal and stanchion tube protection. 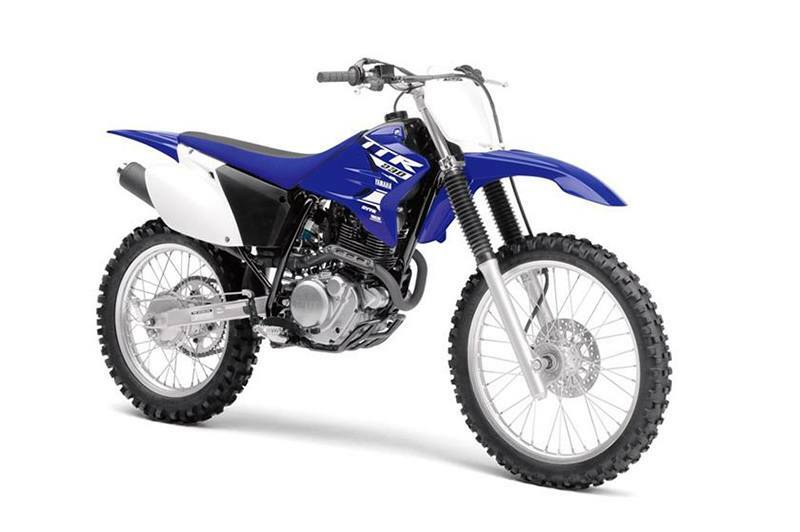 BROAD, ACCESSIBLE POWERBAND: YZ-inspired handling and looks, and a stout 223cc air-cooled, SOHC four-stroke producing predictable, broadband power, make the TT-R230 a great choice for beginner and intermediate riders. RACING-DERIVED ERGONOMICS: Competition-style flat seat/tank junction for great rider mobility. 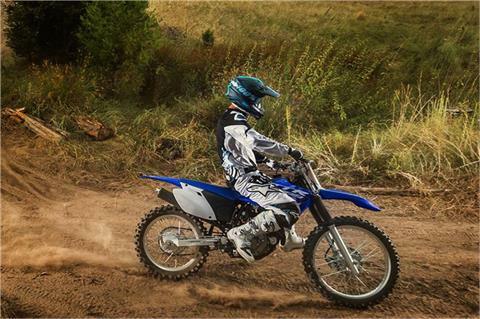 CONVENIENT ELECTRIC START: Electric start makes getting started a simple pushbutton exercise. TRAIL-READY DIMENSIONS: A low seat height on top of a long-travel suspension and 11.6 inches of ground clearance make this a serious trailbike that's also accessible to wide range of riders. ROBUST, COMPACT FRAME: Steel, diamond-type-design frame means great handling and strength.